Irina being injured meant NO runs at all for her in January (I’ll tell you, its tough once you’ve become hooked on it, to rest fully like that!). After a few weeks of full rest, she used the swimming pool to do some aqua-running to help keep fitness up. More to follow on that soon! Paul had a niggling injury to deal with, so lots of stretching, foam roller, and some strength work were utilised to get back on the road, although mileage was limited this month. I also used the pool, and planned on upping my swimming anyway with a few Triathlons in mind for this year. Paul is also making a short cycle to work on certain shifts (up a brutal hill in each direction, treating it like interval training!). Since my last 10k on the treadmill in a stuffy gym (which to be honest with you, I regret now, as I think I’d “opened myself” to the germs), I am feeling unwell. First I was aching all over the body (I am just not good running on the treadmill). And now, I came down with a cold…. again. Despite healthy eating and loads of fresh fruit/vegtables, especially citrus fruit, I got the common cold. (no, I don’t want to feel sorry for myself…. :)). As a very determined person, who schedules runs, TRX, course work, full-time job and of course some quality time with my man a whole week in advanced, it is a bit of a set back for me not being able to follow it through. But from past experiences, I am more sensible now and know when to stop and have an extra rest day. Let the body recover and heal! But never the less I think I found a way to do some exercises and get the muscles working despite not being 100%. Today when I got home from work, I was very cold (I was freezing cold all day, despite having worn layers). The scheduled 6k somehow didn’t seem to be a good idea and my throat is very sore, which certainly the cold air wouldn’t do good. So I thought to myself, why not have a hot bath and after that do some stretching exercises and foam roller?! That is exactly what I did. 20 minutes in the hot bubble bath, out, wrapped up in warm clothes and a hat (I know is a bit silly to wear a hat in the house) and on the floor. It felt great! Not only because I was doing those exercises but also in the mind which is also a very important factor to me. Hope my body will appriciate the extra Rest Day and I will be on the road in no time. P.S. We bought this travel size massage roller which is great. You can controll the pressure better if your thighs are particullary sore. We regularly read the excellent Runners World magazine, and I’ve just read this brilliant article on their website about the Perfect Timing for training, eating and stretching to improve overall running performance. Well worth reading through if you’re increasing mileage or frequency. Of particular interest to me is the mention of the foam roller, which is a tool we’ve been using recently, although I don’t really use enough. I will be trying their suggestion of using it before every stretching session, even the pre-run, dynamic stretching, hoping to see an improvement in range of movement and improved recovery. If you’re becoming serious about running longer distances, or training for an event, then fitting in some speed work is also essential. In this article is talks about the rest periods between these type of sessions, and even suggests a pattern to include them in your weekly routines, very helpful whilst getting to know your body and how it reacts to increasing mileage and speed. Obviously everyone is different when it comes to how soon before a run you should eat for maximum energy availability and comfort in the stomach, so that is something to experiment with yourself. Another great article from Runners World… it makes me want to get out there and run! We’ve just come across this short article on the Runners World website about self massage, which has some good tips to get started. We’ve definitely felt great benefits from doing this kind of thing. 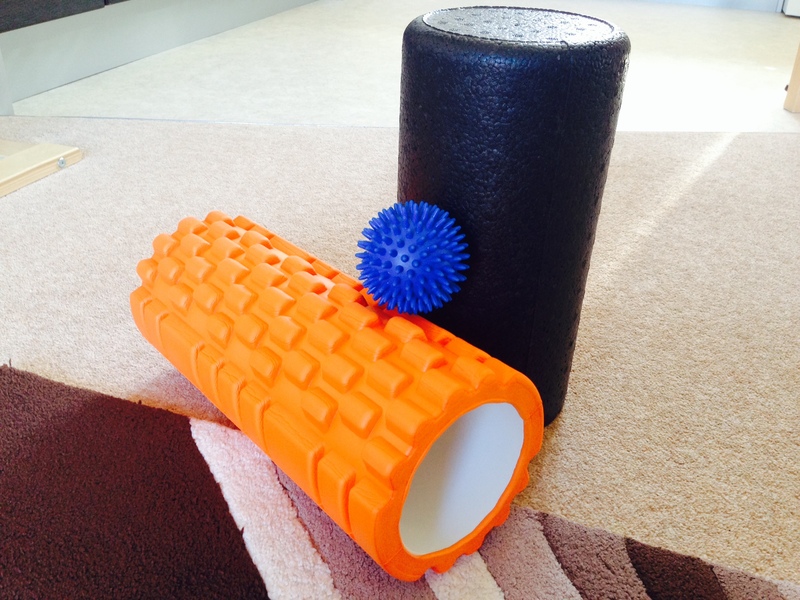 We also use our large firm foam roller on the hamstring area, which we’ve found is a tough area to get a really good stretch into, and after long runs Paul in particular finds this a sore area when stretching. Using the roller regularly (when fully warmed up) has really helped improve flexibilty and recovery speed, and after those longer runs the area is not as sore now. These self massages also help you to get to know your body and where it hurts most after running and will help speed up recovery and increase flexibilty. We highly recommend this, especially as you increase mileage! I’ve had to overcome some knee pain in the past year or so and this video posted on Runners World helps explain the issue and gives some good techniques to alleviate it. Often new runners will have an issue with the knees. When I first had pain I used ice to relieve it immediately after the run and began doing more work on strengthening the muscles around the joint. More recently Irina purchased a firm foam roller, and this really helps with that as demonstrated in the video. Slowly but surely my knee issues have all but gone. 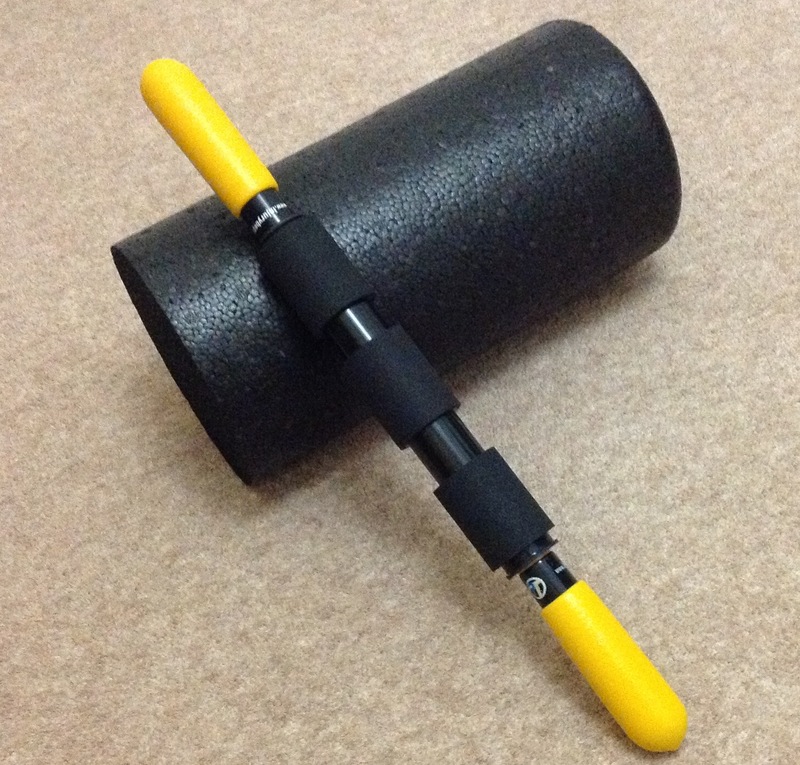 The roller has also helped me sort out my over sensitive hamstrings too! This is an essential piece of kit for a runner!